A sustainability model for the Austin music community and beyond. 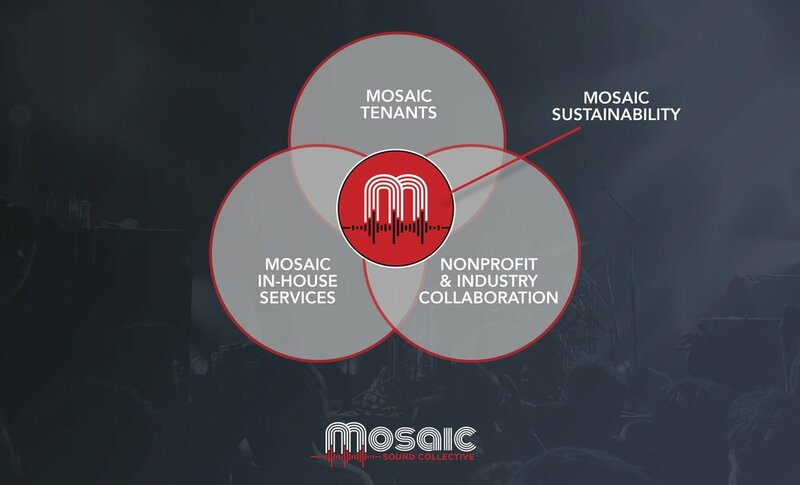 Founded in 2015, Mosaic Sound Collective is a 25,000 sq. ft. campus located in East Austin providing affordable space and professional services for the creative community. Mosaic is a one-stop resource hub connecting artists to the tools, skills and relationships necessary to support a sustainable career.